Save the Dates for the 2018 Shehaqua Programs! Stay tuned for more updates and registration information about each program. As the cold winter months fade away, we look forward to new beginnings and changes. This season is a great opportunity to take time to self-reflect and make new goals. 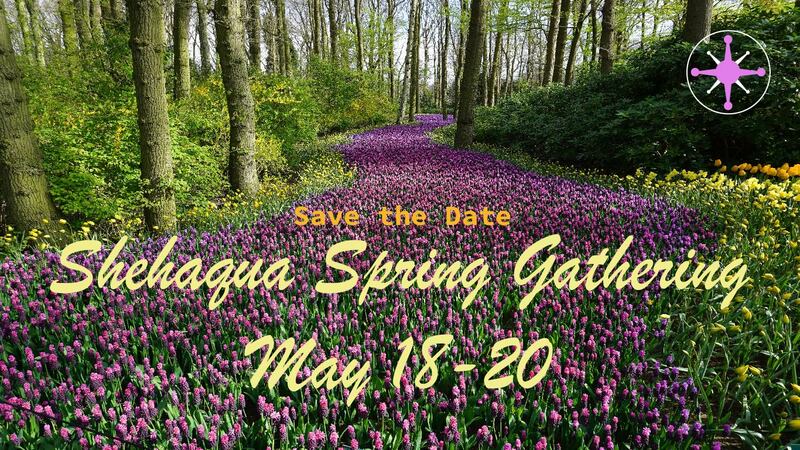 Join us at beautiful Camp Shehaqua for our annual Spring Gathering! Come with your family and friends and experience God’s love through fellowship and nature. Join us for fun and exciting outdoor activities and take the opportunity to deepen your relationships and make new bonds. The Spring Gathering will be staffed by Kyra Moyer, Melissa Manor, Seijin Tranberg, Francis Marchitelli, Luke Scazzero, Kolya Moyer, and Sunkook Iwasaki. Registration will open in the first week of April. Igraine Convery is originally from Philadelphia, PA, but currently lives in Boston, MA. She has been attending Camp Shehaqua programs for 21 years. She has been a group leader and teacher for the kindergarten, elementary, and middle school age group at multiple programs, and has been education director for Camp Shehaqua Family Camp as well as the Shehaqua Winter Retreat. Igraine loves being a part of the Shehaqua programs because they play a big role in her spiritual, emotional and social growth. Most of her longtime friends are Camp Shehaqua alumni, and she considers the Shehaqua community to be a part of her extended family. You can reach Igraine at [email address redacted]. 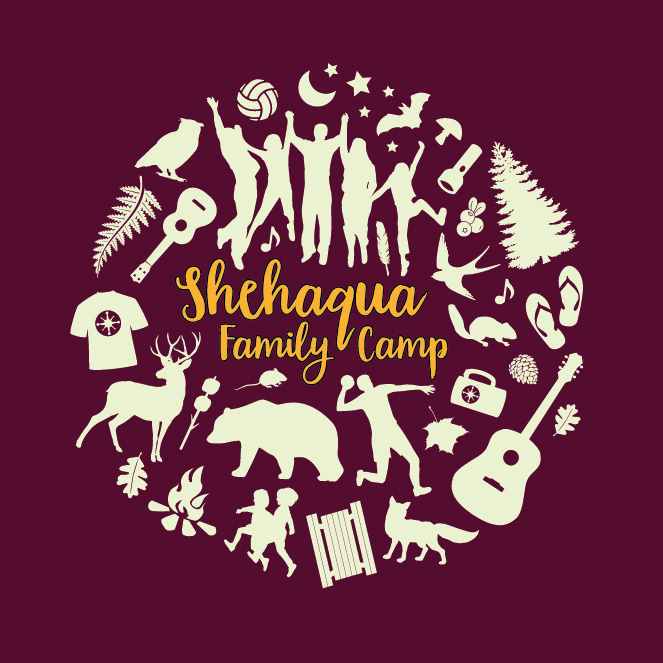 Irina Kouznetsova-Schneider, her husband, Steve, and their daughters, Eva and Anya, have been attending Shehaqua Family Camp since 2010. Irina has served as arts and crafts co-director and kitchen staff. She has also been an active participant in adult educational programs. Irina loves Shehaqua Family Camp as a great place to annually reconnect with friends and their families. You can reach Irina at [email address redacted]. The Shehaqua Family would like to thank the outgoing council members Doug Ashley (2014–2017) and Rob Sayre (2016–2018) for their contributions to the Council. Last year nine people submitted a total of 13 t-shirt designs for our 2017 Shehaqua T-shirt Contest! But this year we received only one submission, which automatically became the winning entrance. It was designed by Claude Aubert. We will announce how you can pre-order your shirt before Shehaqua Family Camp in a later newsletter.